GE Industrial 3-Pole rating plug has a current rating of 350-Amps and voltage rating of 600-Volts AC. 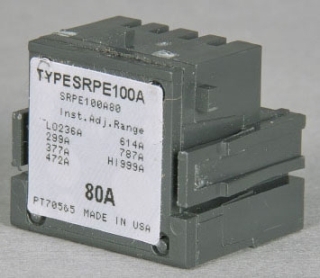 The rating plug has a trip current ranging from 1070 to 3545-Amps. It is suitable for use with SG600 frame and spectra circuit breakers. Rating plug meets UL E11592, CSA LR40350 and IEC standards.